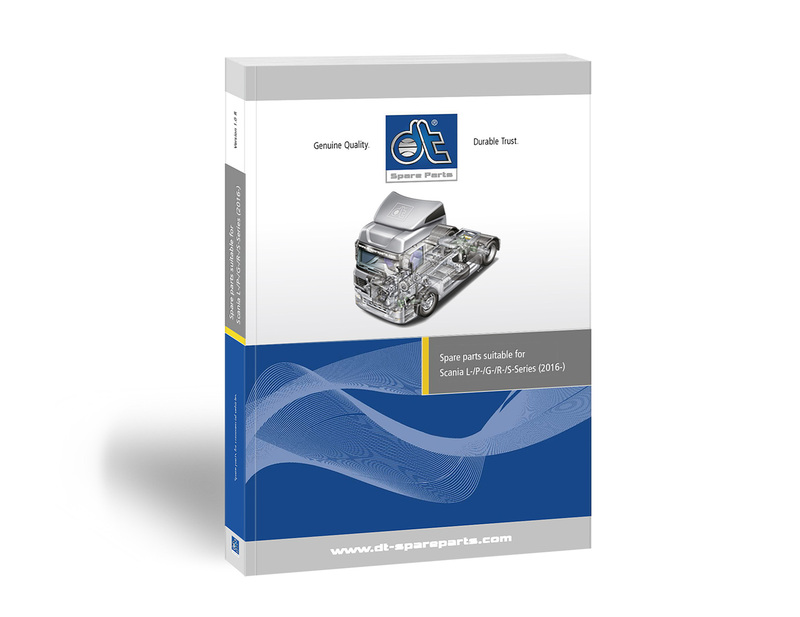 For the first time, the brand DT Spare Parts publishes a spare parts catalogue for the Scania L-/P-/G-/R-/S-Series, which has been on the market since 2016. The catalogue contains 1 000 products suitable for Scania L/P/G/R/S, which replace about 2 100 reference numbers of the vehicle brand. DT Spare Parts therefore shows that the product range is being constantly adapted to the requirements of developments in the market. Besides the spare parts range suitable for Scania L/P/G/R/S, the brand DT Spare Parts offers products for the Scania P/G/R/T Series, 4 Series and 2/3 Series. In total, more than 27 000 different spare parts are available in the truck segment of the brand DT Spare Parts. The product range for the Scania L-/P-/G-/R-/S-Series will be expanded continuously. 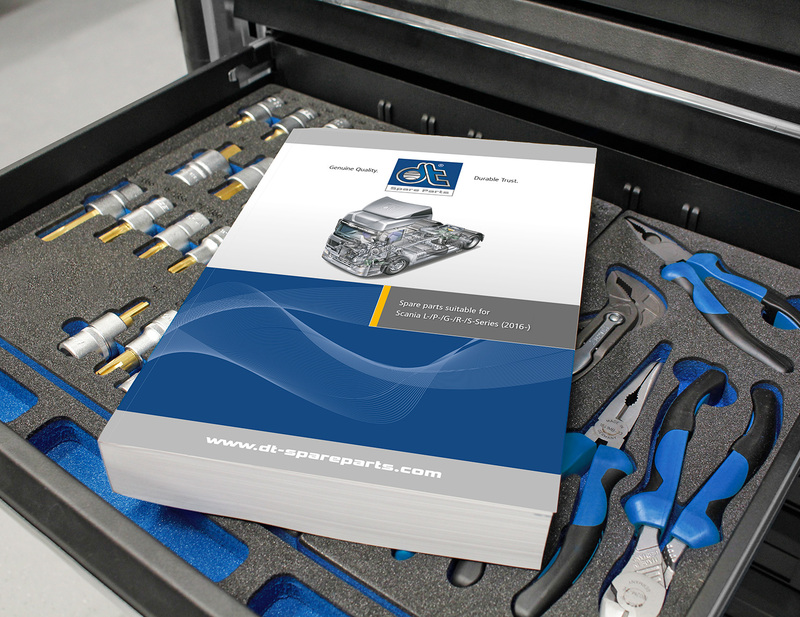 Besides the constantly expanded full range, workshop customers also benefit from further advantages, such as guaranteed brand quality, comprehensive service offers and a 24-month guarantee. Detailed information about the products can be found quickly and easily in the Partner Portal. The Scania L/P/G/R/S catalogue as well as all other catalogues are available in digital format to search for products at any time. Print versions can be requested free of charge using the order form and can be obtained from the local distribution partners. Diesel Technic will be happy to put you in contact with a distribution partner in over 150 countries, which ensure fast and reliable delivery in the supply of spare parts.